Keep the good times rolling! 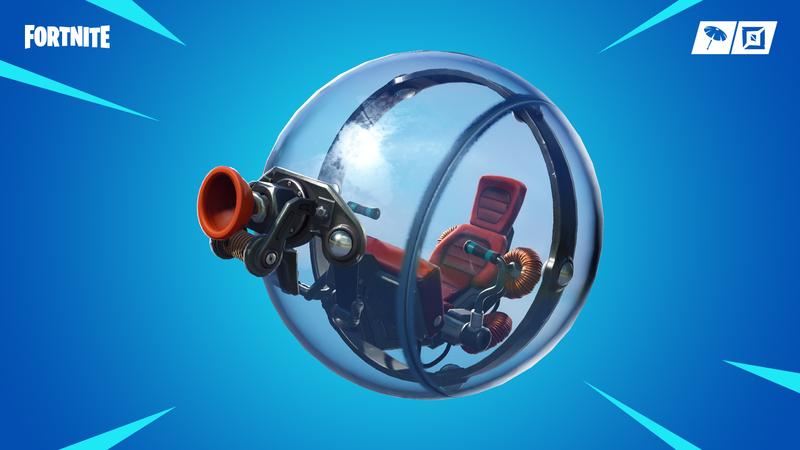 Combine your boost and grapple to perform unbelievable feats with the newest vehicle addition to Battle Royale! 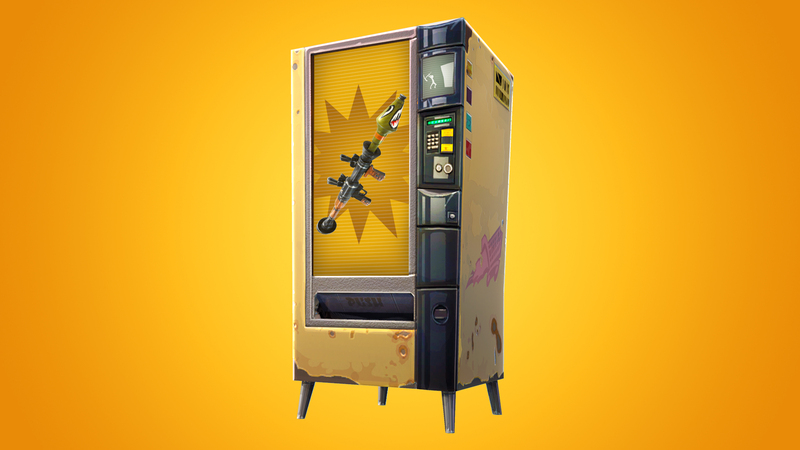 These convenient machines now dispense things free of charge but only provide one item/weapon before disappearing. Jump into two new exotic island locations! Build your best beach retreat with the new Wooden Lodge theme while enjoying a perfect, volcanic tropical view. Offense or defense? We’ve added new game rule options that allow you to further customize team settings and setup advanced PvP games. Reduced the number of player islands on a server from 16 to 8. Player loading after the first 8 players will not have access to their personal islands and instead have to start a new server. This will be fixed in a future update when the portal mechanic is updated. Removed the blocking collision from islands to allow for the new larger islands. Fixed an issue where objects were missing after loading into an island, reloading and island, or finishing a game. Removed a delete record system that was causing many bugs. Fixed an issue where islands were unable to be restored after resetting them. Fixed a bug where island settings would not get applied to players joining islands. Fixed an issue where some Prefabs and Devices were unable to be placed on certain areas of the default island. Fixed an issue where players would occasionally lose functionality when loading into a Creative Island and quickly returning to the Hub. Added Score to Win as an end condition. Specify the target score for players or teams to achieve to win the game. Added Total Score option to Type of Scoreboard. Adds a score total to the HUD and shows the total score for players and teams when the game ends. Added Objectives to Win as an end condition. Specify the number of objectives required to end the game. Added Objectives option to Type of Scoreboard. When the game ends shows how many objectives were accomplished by each player or team. Coins props in the “Challenge Gallery” now have new visual effects to help make them more visible to players. Changed the countdown to 3 seconds from 6 seconds. Added new Spawn Location type, Current Location, that keeps you where you are when the game starts. Useful for playtesting games. Reordered Game tab options to make it easier to find options. Added tooltip descriptions for Game options and Game Settings options. Fixed an issue where players who join a server in progress might not have their score properly reset. Fixed an issue where attempting to swap teams could result in DBNO instead of respawn. Fixed an issue where the player could not exit fly mode when the jump function is bound to the right thumbstick button on controllers. Fixed an issue that caused the screen to fade in twice when a game is restarted. Fixed an issue where the yellow triangle on the HUD warmup timer would disappear too quickly. Fixed an issue where the HUD warmup timer would not animate out. Fixed Remote Explosives sticking to the player character when throwing them while disguised as a Bush. Fixed an issue where players encountered instability when interacting with the cannon. Fixed Drum Gun sound effect. The satisfying boom is back. Sprays will now highlight when you aim at them with your Phone, indicating that they can be deleted. The Phone can now interact with props and building tiles that are underneath the island’s terrain. They’ll highlight as you aim the crosshair over them. While using the Phone to Grow or Shrink a prop with Grid Snap enabled, holding down the button will repeatedly Grow or Shrink the prop. Fixed holographic preview for props drawing through floors or characters on mobile platforms. Fixed an issue where scale indicators are pulsing the wrong direction while scaling down. Fixed an issue where certain player-built walls had a more expensive memory cost than expected. Fixed an issue where the Phone stopped working after your player was launched from a cannon. Fixed props temporarily changing to wrong size when using the Phone to Grow or Shrink when Grid Snap is enabled. Fixed an issue where the Snap Center and Resize indicators were hard to see when a prop is either too large or far away. Fixed an issue where the on-screen button for Terrain Collision On and Off looked the same on mobile platforms. Choose from 7 different objective props – YES the Durr Burger mascot and Pizza Pit mascot are finally here. Set an explosion radius for when the objective is destroyed. Destroys all tiles and props in the radius even if the environment is set to indestructible. Known issue vehicles don’t do damage to an Objective. Max Initial Team Size – Unlimited, 1 to 16 – Use to make asymmetric teams when using teams game option. Missing in previous patch notes in 8.00 – Added wall version of Speed Boost. Great for elevators. Added Team Settings to Checkpoint device. Added limiting billboards to 50 to fix memory and performance issues on mobile devices. We will continue to monitor to see if we can increase that limit. Fixed performance issues with the Music Sequencer device in islands with a large number of Music Blocks. Fixed the Starting Inventory device granting duplicate items if the “Drop items when eliminated” setting was disabled. Fixed the Player Start device selecting Any team when it was set to None. Fixed an issue where Billboard background colors were not functioning correctly. Fixed the holographic preview for the Pinball Flipper always being the default size when being moved with the Phone. Fixed an issue where the Pinball Bumper would result in overlapping previews when copied after squashing or stretching it using the Phone. Fixed an issue where some of the Music Blocks placed in a Sequencer would not play in some cases. Fixed issues with using the Phone not being responsive while riding on the Driftboard. Fixed an issue where Radios could play music after loading into an island that had a Radio with playback turned off. Fixed an issue where players would be locked from their inventory after being shot from a cannon. Fixed an issue where HUD elements would sometimes not appear correctly. Fixed an issue where the Start Game Panel would be present after returning to the HUB from a Featured Island. Players on a creative island should now be able to chat with each other prior to the start of the island game. During the game voice chat is determined by the game settings. Creative island games should now continue until all players have left the island or the starting player chooses to end the game from the menu. Previously, the game would end if the starting player left the island. Fixed performance issues when using the Music Sequencer. Fixed performance issues on servers with maximum player count. Reminder: Creator Codes expire every 14 days, if you want to keep supporting you will need to re-enter the code in the Item Shop.